Collection of Raymond Glendenning’s Book of Sports from 1950 (no. 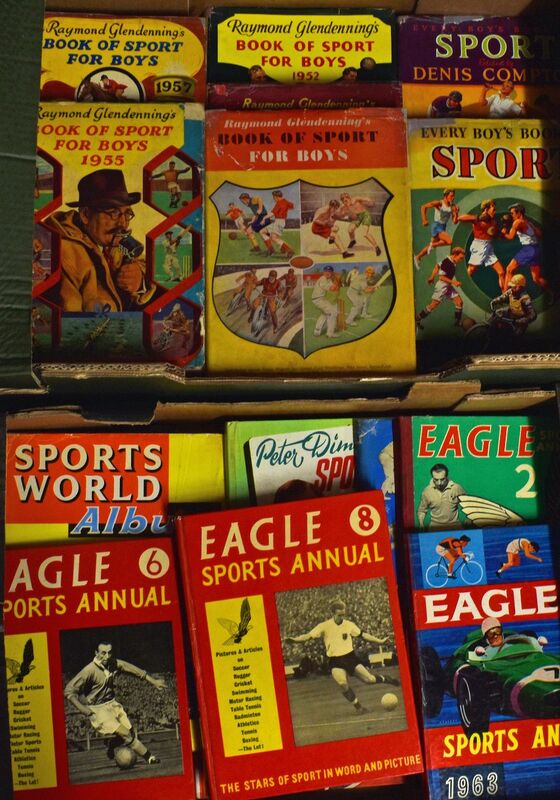 1) to 1961, Every Boys Book of Sport 1950, 1951, 1952, 1954, Eagle Sports Book from no. 2 (5), Peter Dimmock’s Sportsview 1955, 1957, 1980’s Scoop Sports annual x 4, 1972 Valiant book of Sports. (Total 26 in 2 boxes) Condition is generally good, view to assess.